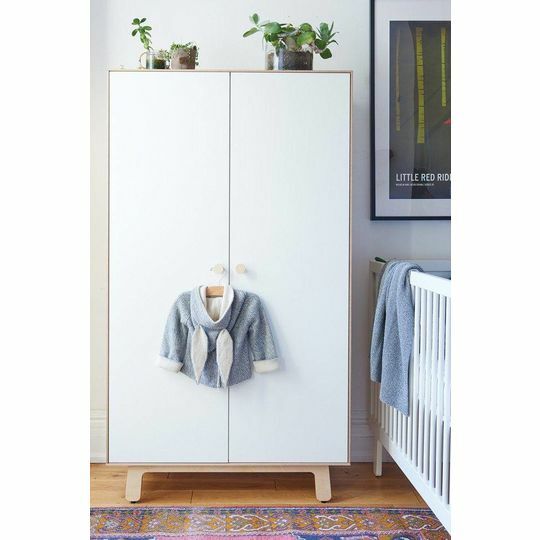 This beautiful Oeuf NYC children's wardrobe will complement any stylish bedroom. 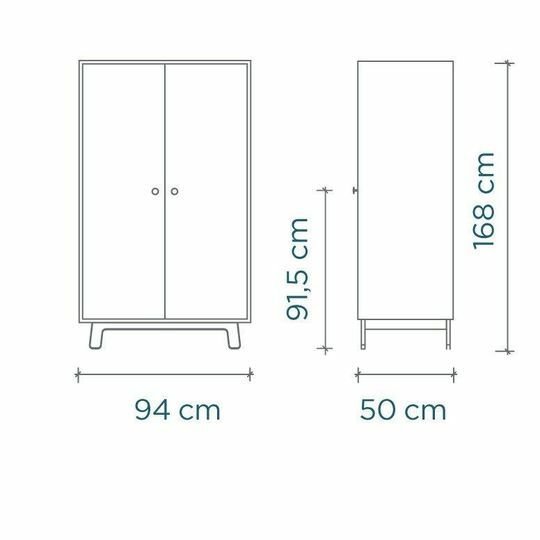 The Merlin wardrobe is ideal for a nursery or a child's bedroom and with the wide range of Oeuf furniture available will be able to grow with your child. 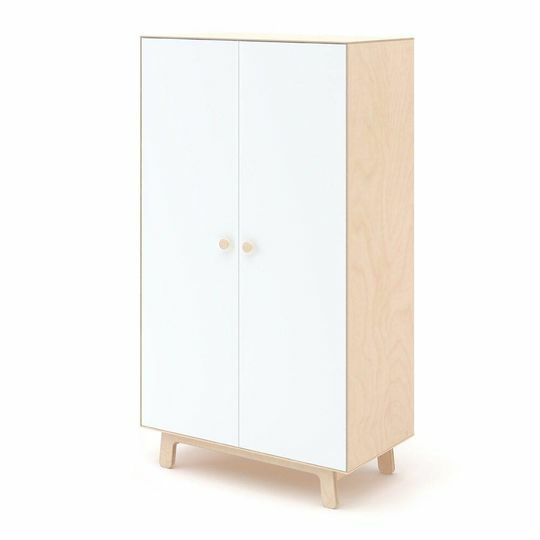 The displayed unit is in white and birch. 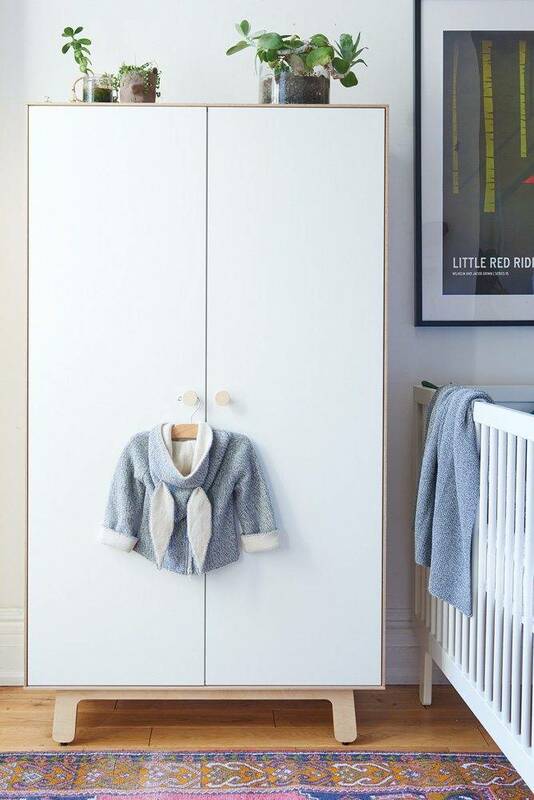 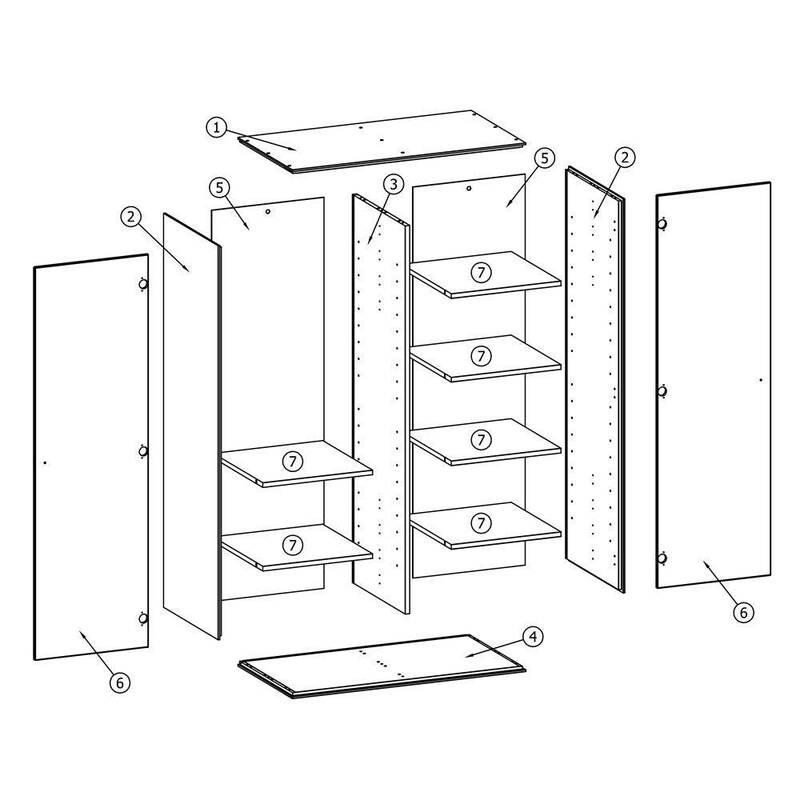 The wardrobe has a hanging rail and 6 adjustable shelves and you can arrange them to suit your particular needs. 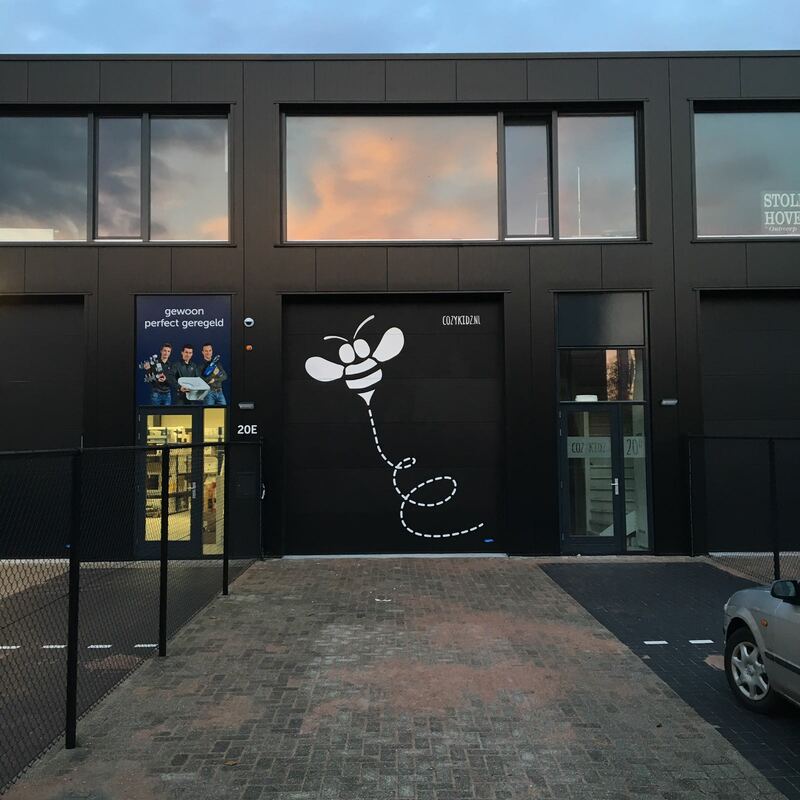 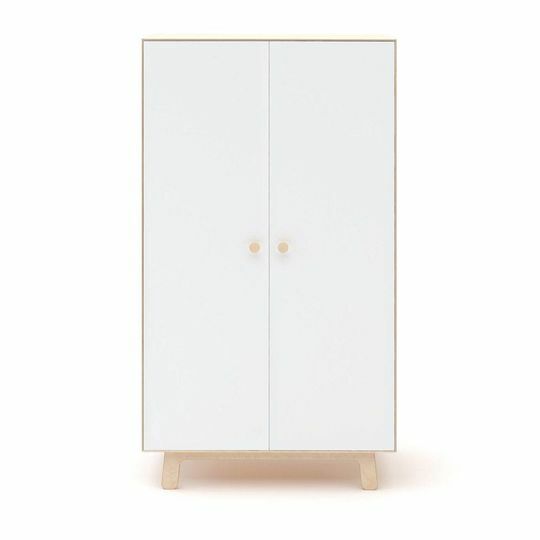 The wardrobe is available with a number of leg designs to allow you to coordinate with the rest of your Oeuf furniture. The choices are classic, sparrow (white or birch) and Rhea. 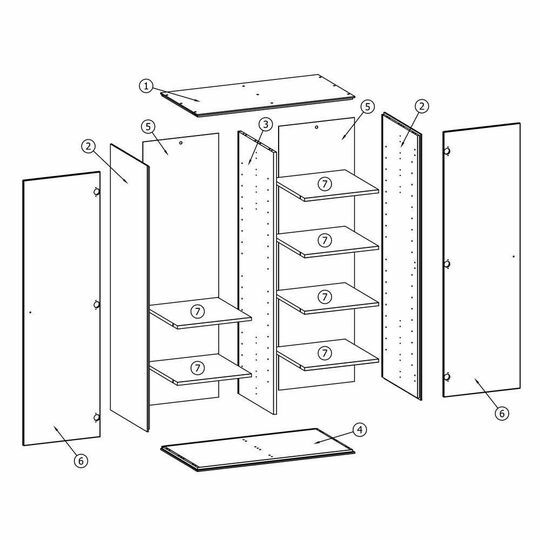 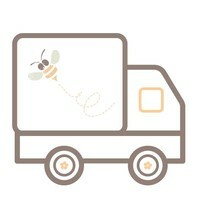 - See the images of these styles. The wardrobe is also available in white and walnut. 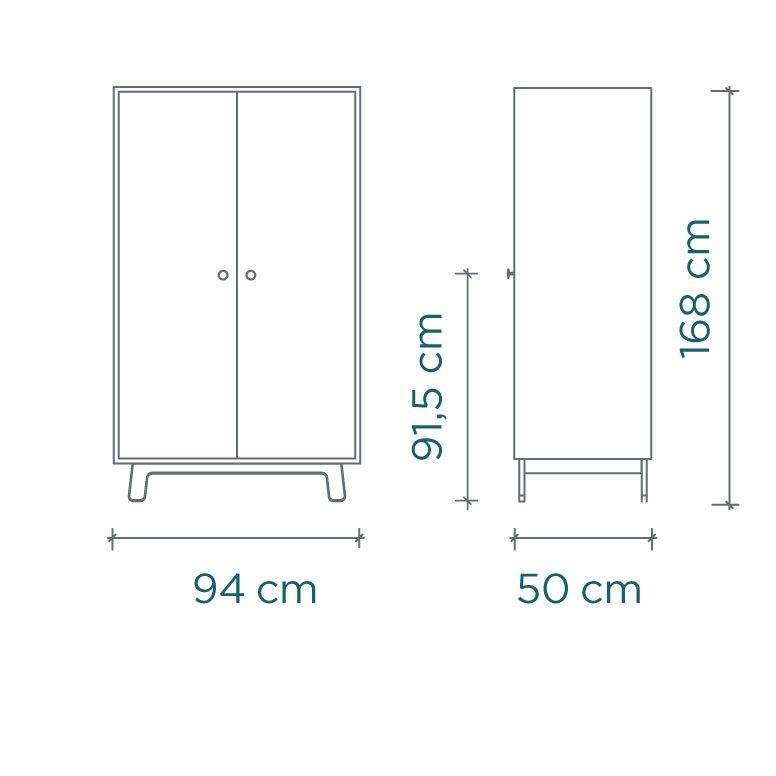 Measurements; Height 152.4cm (not including base), Width 94.3cm, Depth 50cm.